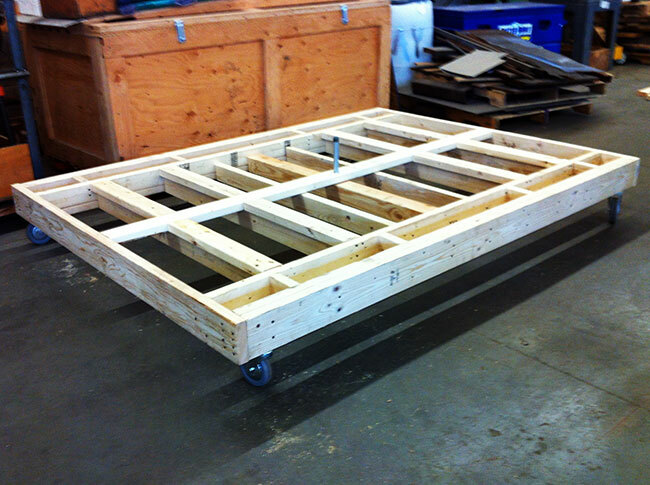 The sides of the cart are designed to have spaces for pipe clamps that will attach this base to a train cart. 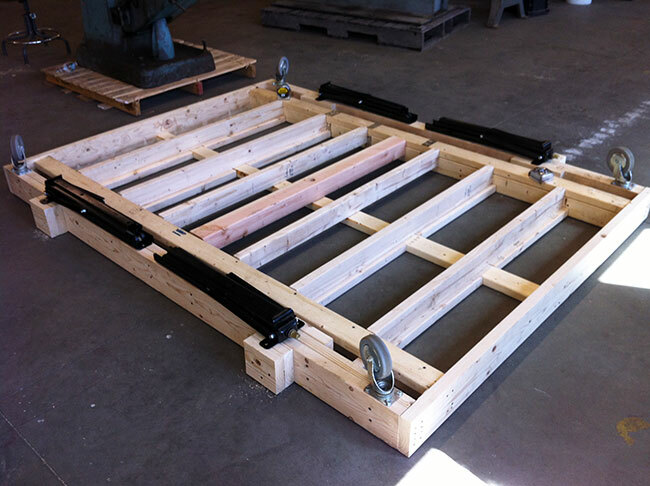 These scissor syle jacks will raise the cart 26″ vertically so we can install it on the train carts in Toronto. This is the swivel mechanism that will allow the spinning cart to rotate. 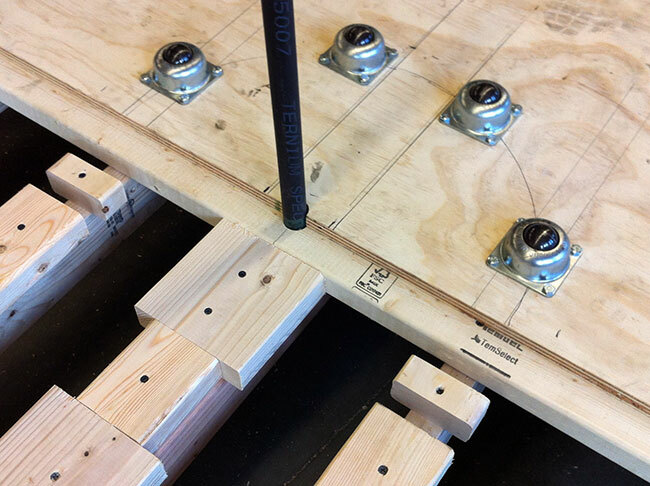 We use mounted 360 degree castors a lot–they come in handy for building odd devices.